Plain Concrete Base Panel - Bridge Fencing Ltd. 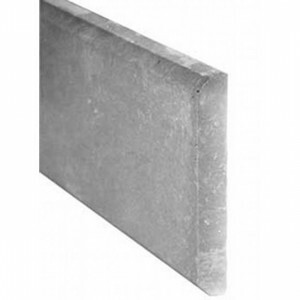 Plain basic concrete panel suitable for a base panel or full concrete security fencing. A smooth plain concrete base panel available in 6ft x 1ft panels. This is designed to slot into a concrete fence post to provide a secure weather-proof base for a timber fence panel, lifting the timber away from the ground, both for protection and providing a sturdy aesthetic finish. These concrete base panels can also be slotted one on top of the other to form a solid concrete barrier and as such is ideal for security fencing. 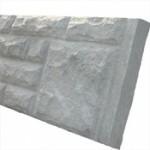 Our concrete base panels are a popular choice due to their low maintenance and high durability. Be the first to review “Plain Concrete Base Panel” Click here to cancel reply.